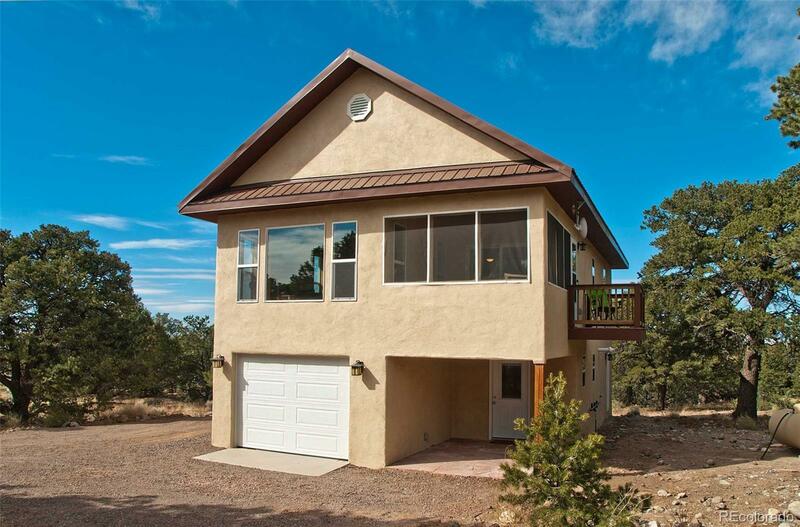 Recently built 2 bedroom/1.5 bath home with attached heated 660sf garage offers quality and views. The open great room is located upstairs with large windows creating views on three sides. Also upstairs are the two bedrooms with a full bathroom and a quality kitchen. Laundry room is conveniently located upstairs. Special feature is the screened porch off of the living room and a balcony off the screened porch. Enter downstairs into a foyer/mudroom with half bath and utility equipment room with an internal garage door entrance. The attached garage is 44'X15'+ and it is heated by an ETS heater. The garage has potential for conversion. The house is heated by propane in-floor heat both downstairs and upstairs. Seller requires 7 days after closing for possession. Furnishings can also be available for sale. Must see this quality home to appreciate.